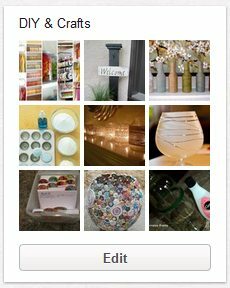 I’ve been sharing things on Pinterest for awhile now. If you’re never heard of Pinterest, you’re a big dork. It wasn’t until recently that I decided to search the social networks (Facebook, Google Plus, and Twitter) to see what people were saying about it. I find it interesting that some guys have stated they don’t feel comfortable using Pinterest. I never thought of it as a female-dominated site, but I guess it really is. It doesn’t have to be though. 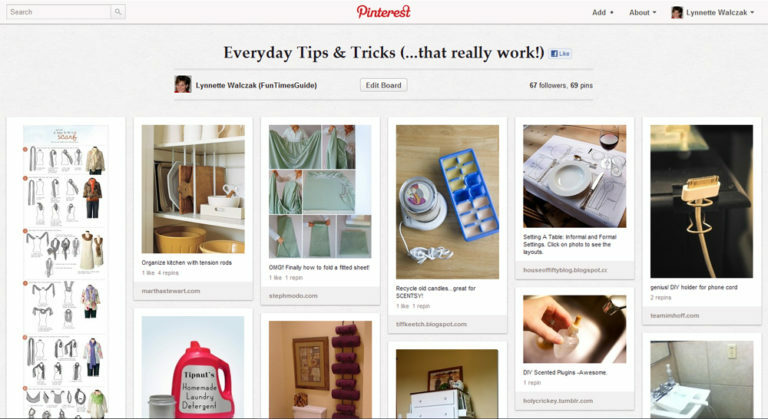 To quickly see if Pinterest is for you or not, do this: use their search box to type in your favorite topic or hobby. I bet you’ll find tons of interesting stuff there! I will say this about Pinterest… when you first sign in, you start with 5 blank “boards” on which to share/collect stuff. Those boards are named things like “For The Home”… “Favorite Places and Spaces”… and “My Style”, and people are encouraged to start sharing stuff on those topics. That alone has probably played a big role in the type of audience that Pinterest has today. If you’re not immediately drawn to those topics, then you may be more likely to “tune out” while failing to see how Pinterest could be of value to you. Granted, you can create any board names you want (and as many as you want), so the possibilities are truly endless. But the masses have stuck with those very basic boards — especially newbies — thus influencing the type of people who find Pinterest appealing from the get-go. The trick is to think outside the box to make Pinterest work for you! So, what do you think?… Does Pinterest work for guys? The fact of the matter is Pinterest can be whatever you want it to be. If you start sharing things there that interest you, you can bet that others with those same interests will find you and start sharing similar things! With over 2.5 million monthly active users — and the diverse interests and activities of those users — we all have a say in what’s found on Pinterest. It truly is the ultimate online sharing site. Fact: Pinterest stands out in a crowded social media field. Did you know?… the Pinterest website was created by a bunch of guys! Here’s an interview with Pinterest co-founder Ben Silbermann. Need an invite? Any Pinterest member can send out invites. If you need one, let me know in the Comments below. I just need your email address. Here’s a helpful Pinterest tutorial. Pinterest also makes a great resource for bloggers. When I want to see what others are sharing on a particular topic that I’m writing about, I just use the Pinterest search box to see a flood of ideas. I also use it as an idea-starter to find fun new things to write about (using my own experiences and images, not those found on Pinterest).